The NeighbourFood Market in Amsterdam is one of our favourite Sunday markets in town. The vibe there is always good and the food is great! But hey, it’s not for nothing called a food market ;-). I personally love all the food markets in town! 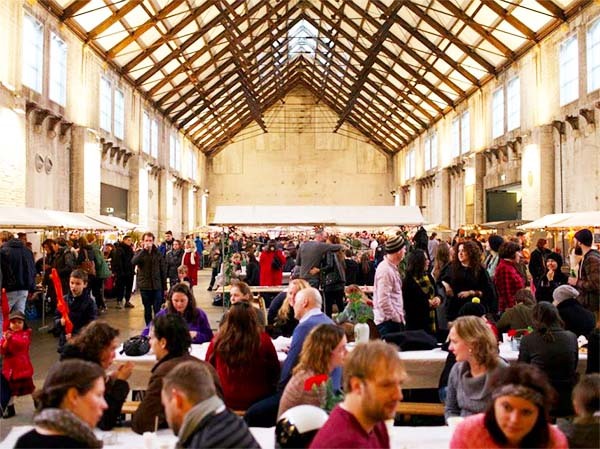 The NeighbourFood Market is a monthly market at the Westergasfabriek area in Amsterdam. When the weather is nice there will be food trucks outside and some market stalls combined with the stalls at the Transformatorhuis. And I have some great news to share… this year the NeighbourFood Market will do four weekenders. So this year you can’t only have a great foodie day on Sundays but also on Saturdays! At the NeigbourFood Market you can buy local produce from farmers all over The Netherlands. To take home to consume at a later stage or to enjoy on the spot. Drink a bio lemonade with it or a local craft beer and a great day is guaranteed. I really can’t wait to enjoy the smoked BQQ meat sitting at the long beer tables with my friends. More hotspots in Amsterdam West?